We’ve all seen them – powerline right of ways, crudely cut into the landscape. They’re typically eyesores, startling reminders of humanity’s impact on nature, especially when they cut through seemingly pristine forests. 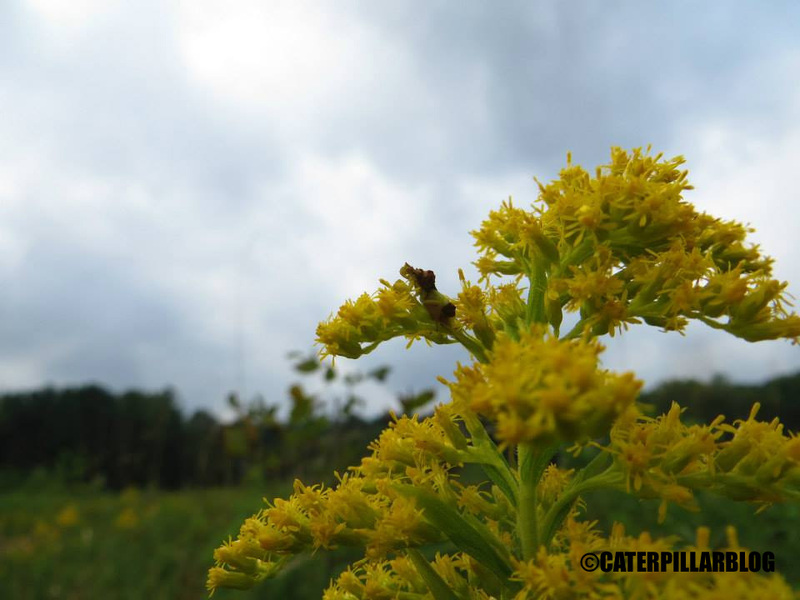 However, at least in some areas, these powerline right of ways can actually be a boon to species which thrive upon early successional landscapes. 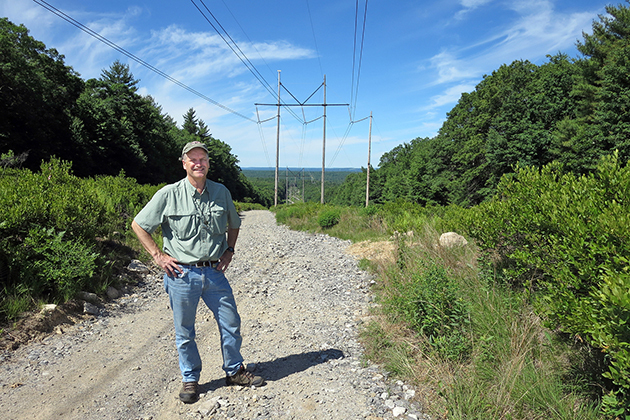 Our lab, in conjunction with a cohort of collaborators, has spent the last few years studying the plants and animals living in powerline right of ways in Connecticut. Powerline right of ways are typically not completely mowed, but periodically maintained to remove tall trees. What remains is an open shrubby habitat, which can be more like a meadow, a wetland, or a bramble patch. These habitats are becoming more and more scarce in CT, as fields and farmland succumb to forestation. While at one point (late 1700s/early 1800s) CT was almost entirely deforested, currently 60% of the state is forest. This may sound like a good thing, and in most ways it is. We all benefit from healthy forest habitats, which more closely approximate the landscape before human settlement. However without periodic wildfires and other natural disturbances to maintain natural meadows, dense forests are perhaps taking more than their fair share. So what should we do about the species that currently call Connecticut’s meadows and shrubby habitats home? It turns out that powerline right of ways are just what they need. Our lab’s study found twice the species richness of plants in the right of ways than in the adjacent forest, along with a bevy of native bee species. I highly recommend reading their paper, which includes a multitude of links to other studies which have reached similar conclusions. 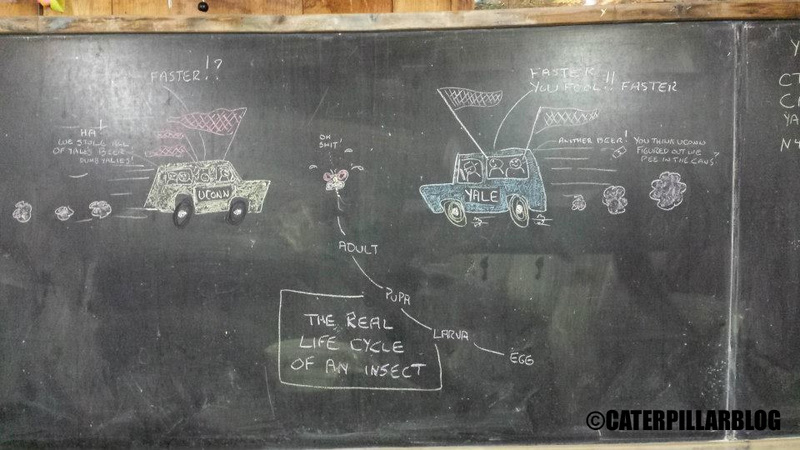 This one is mostly about the plant species, a paper on the bees and other insects is forthcoming. It may seem counter-intuitive, but powerline cuts in this area can really benefit biodiversity by maintaining early successional habitats. 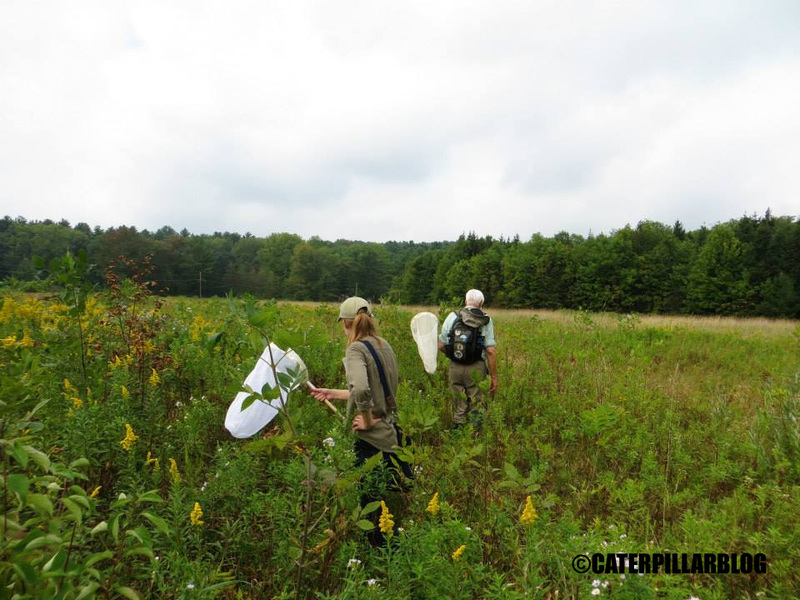 I can attest that they are great places to catch insects – there is one species I study, Acronicta falcula, that we have only been able to find in powerline right of ways due to the habitat preferences of its host plant. 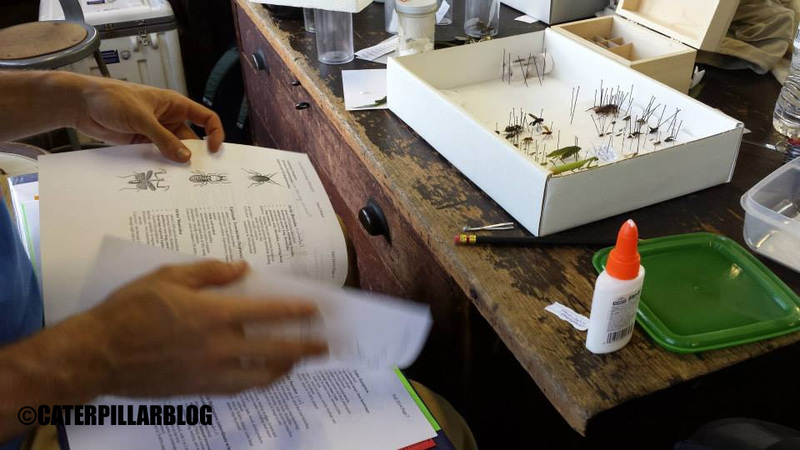 If you’re anywhere near UConn, you should join us this Friday evening for the first Connecticut Entomological Society meeting of the academic year. The speaker, Sam Jaffe, is a friend and colleague of mine – he is going to speak about his grand venture, The Caterpillar Lab. He has promised lots of cool macro photos, videos, and even some “props” (I have a feeling they might be alive). Check out our website announcement for more information. And yes, I am president of the society for a second year. We have some great speakers and events in store for this year! That was the question a student had this morning. 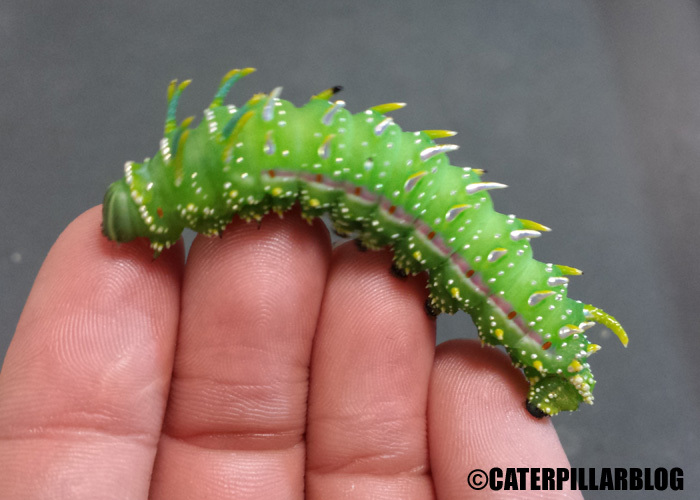 The caterpillar was wiggling a bit, but didn’t look so good. Upon closer inspection, it appeared it had burst open, and something was actually… inside of it. I have yet to identify the parasitoid, it appears to be a fly maggot of some sort. I will be back with an update if we put a name on it. 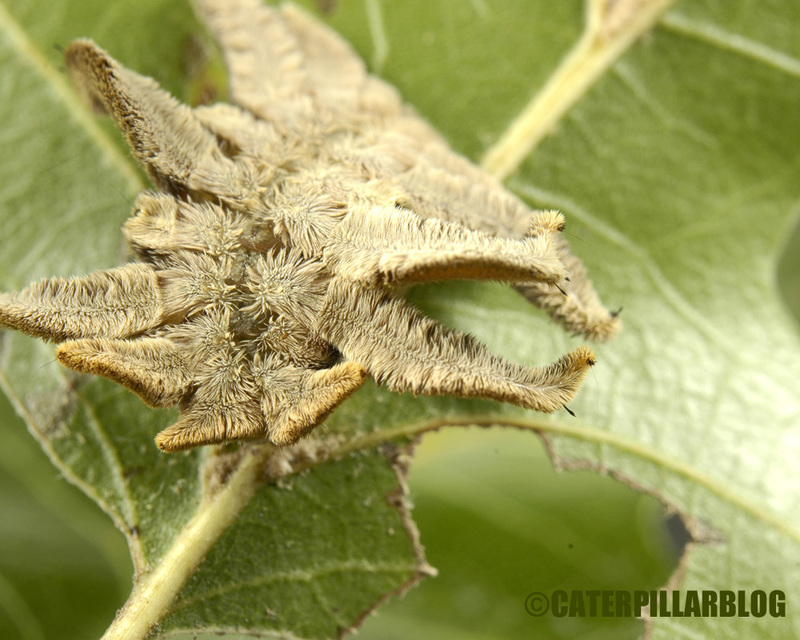 Yes, it had eaten all of the caterpillar’s insides. 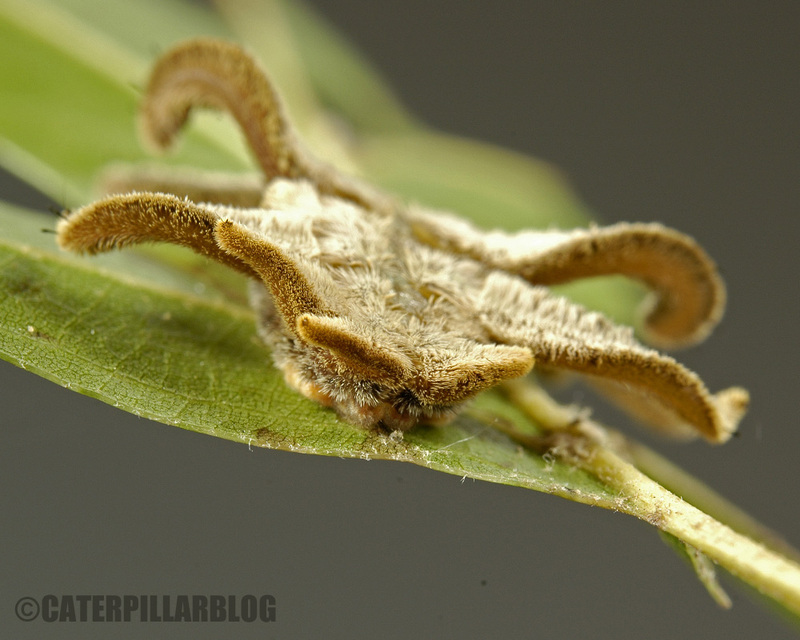 No, the caterpillar is no longer alive. [UPDATE] The maggot is in the family Tachinidae. 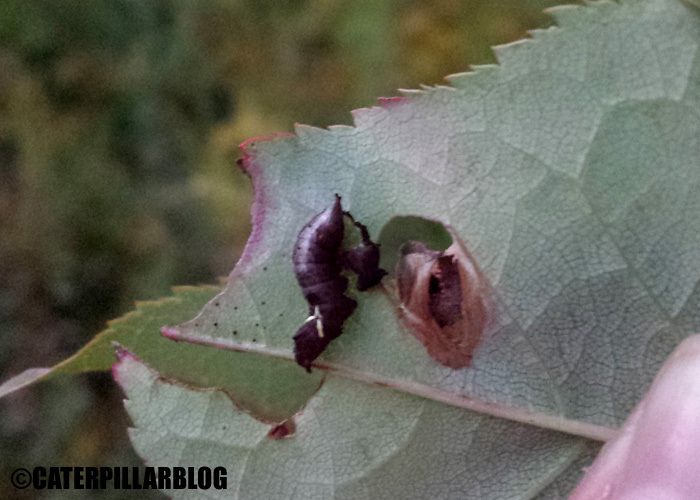 Dermestid beetles (family Dermestidae) can either be a useful ally or a nuisance, depending on your point of view. There are several hundred species worldwide, and many have found ways to either enrich or aggravate our lives. If you are interested in taxidermy or specimen preparation, these industrious beetles are one of the best ways to de-flesh and clean skeletons. 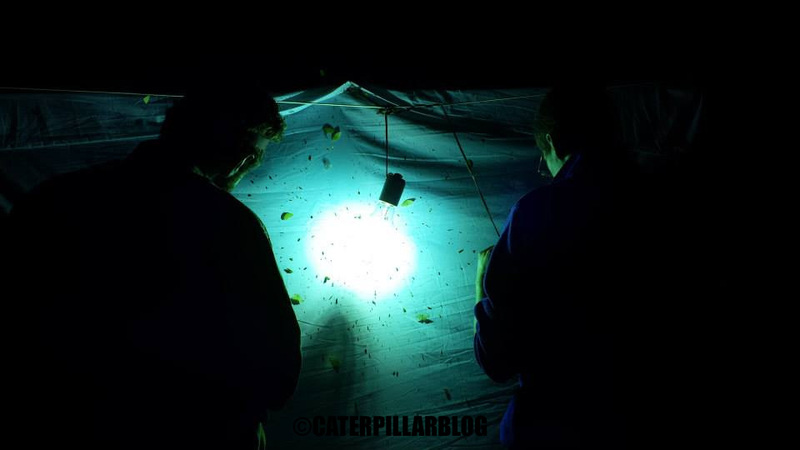 Entire colonies are kept by hobbyists, universities and museum collections and put to use, both adults and larvae feasting on an array of carcasses. They especially enjoy hair, skin, and feathers. Due to their knack for feeding on dead or decaying materials, they are essential outdoor decomposers. 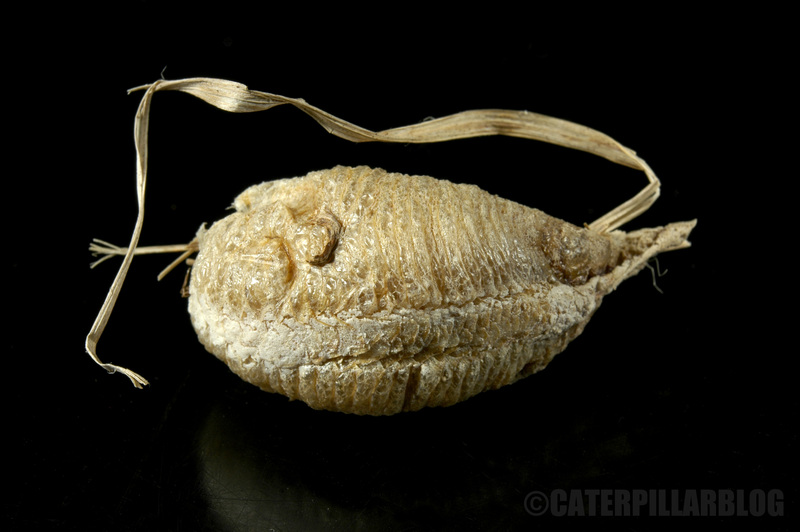 Some species prefer plants, some prefer animals, and some get rather esoteric in their choices (like specializing on praying mantis egg cases). 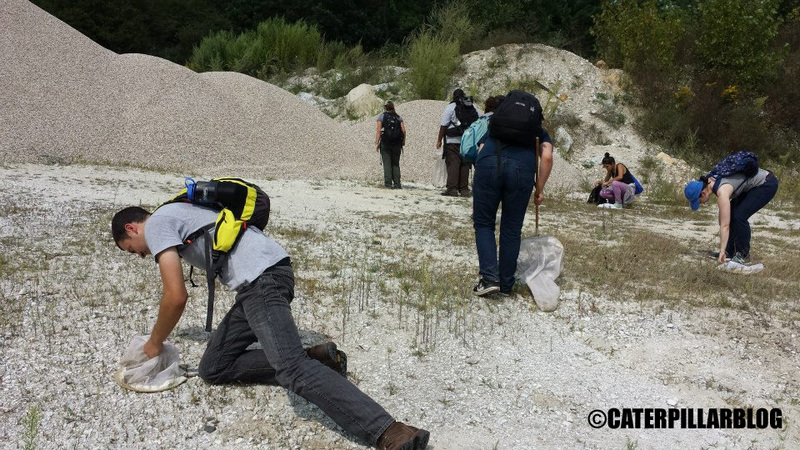 Our knowledge of these ecosystem services also allows us to use them in forensic investigations. But most people don’t think of these applications. They are more concerned with the “larder beetles” in their pantry, pouring out along with the cheerios into their cereal bowl. 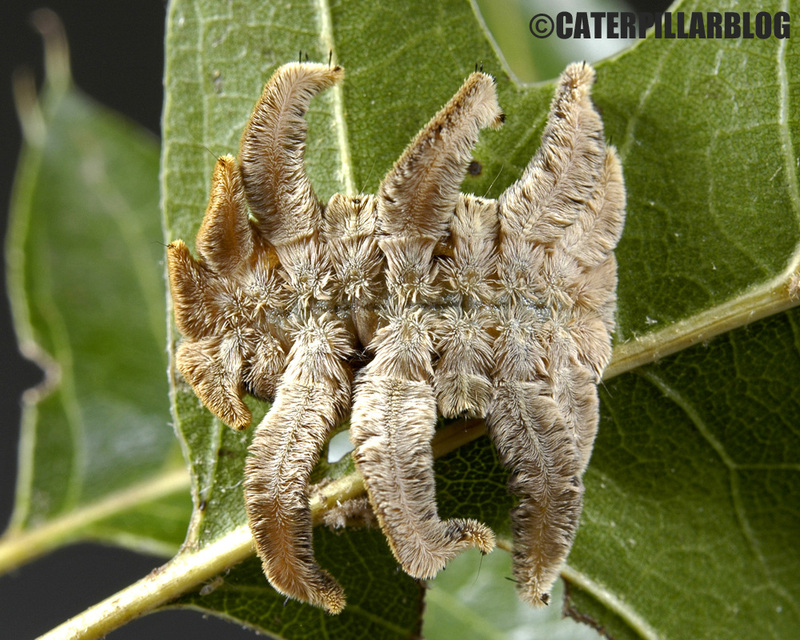 Or “carpet beetles” munching on wool coats, or silk scarves, and other natural fibers in their closet. Any open window is an invitation for a visit. 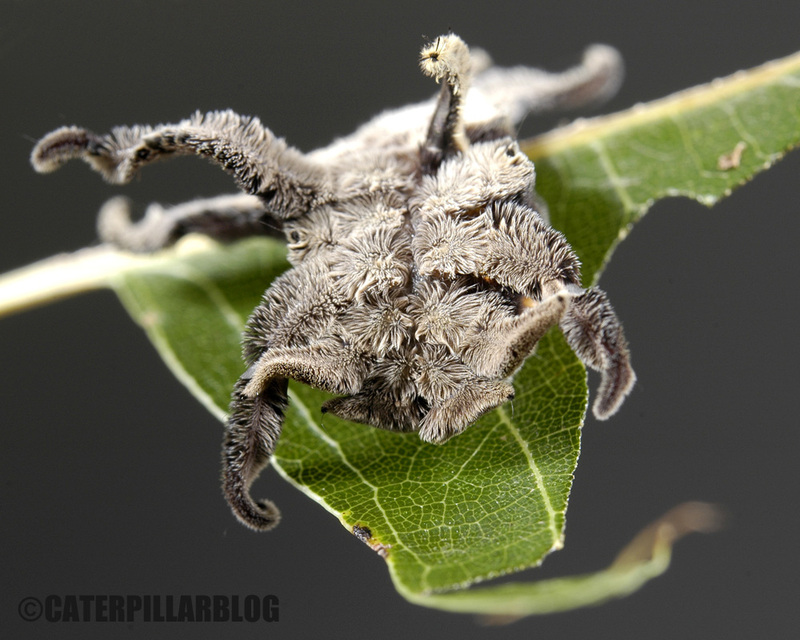 And if you’re an entomologist, the phrase “dermestid beetle” should strike fear into your heart. All the qualities that make these beetles desirable for cleaning vertebrate skeletons makes them especially destructive if let loose in an insect specimen collection. These beetles don’t just like the taste of skin and fur, they have quite a fondness for insect chitin and dried innards. 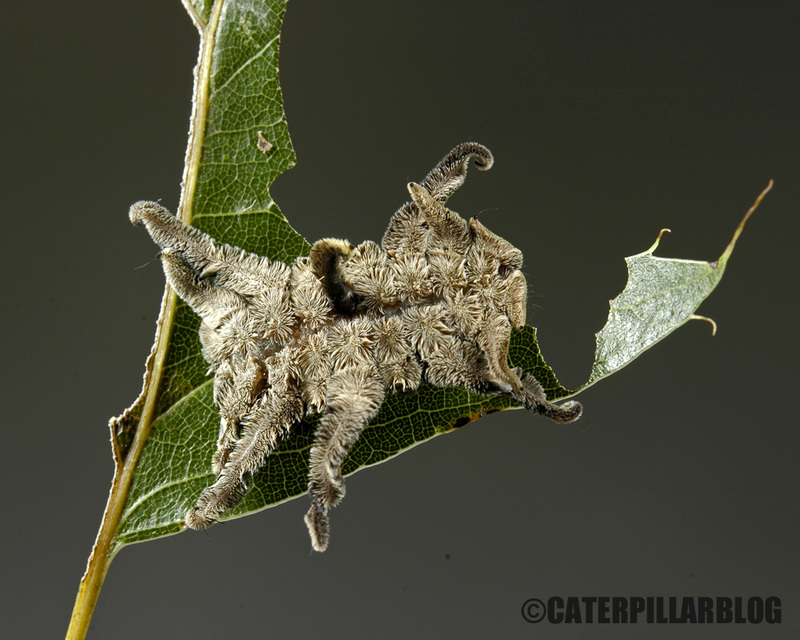 Every entomologist I know has horror stories of dermestid beetles infesting their collection. The main specimen collections here at UConn are chemical-free, meaning they have strict quarantine procedures in order to thwart these beetles and other pests. Specimen boxes must be frozen twice, if they’re allowed inside at all. 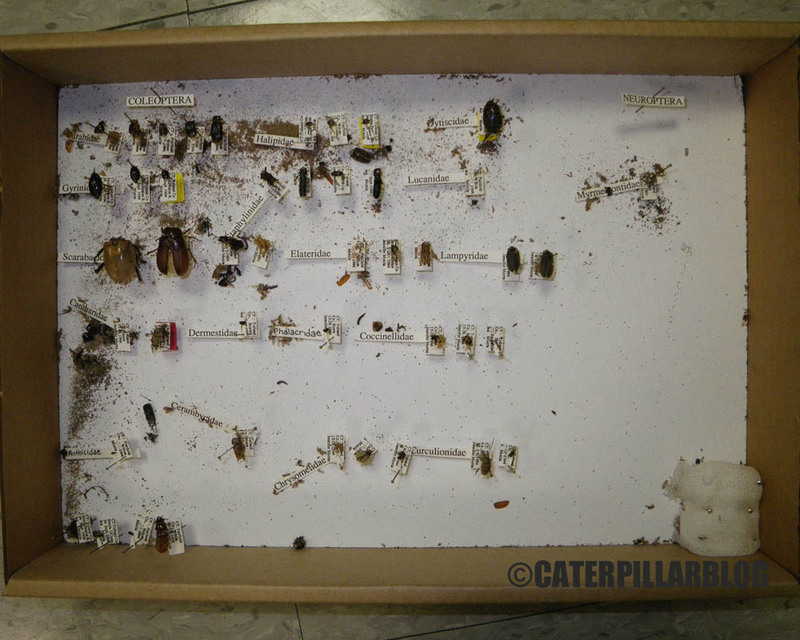 I was cleaning out a storage room for the entomology teaching lab, and came across a set of student specimen boxes. That had been overlooked since 1994. 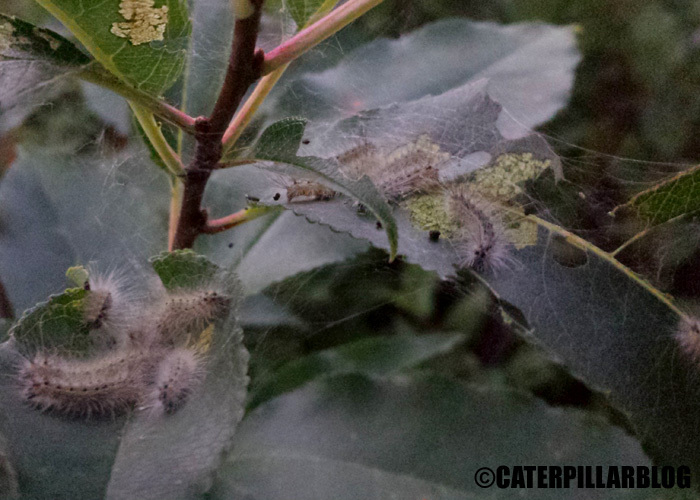 Needless to say, dermestid beetles had a feast. 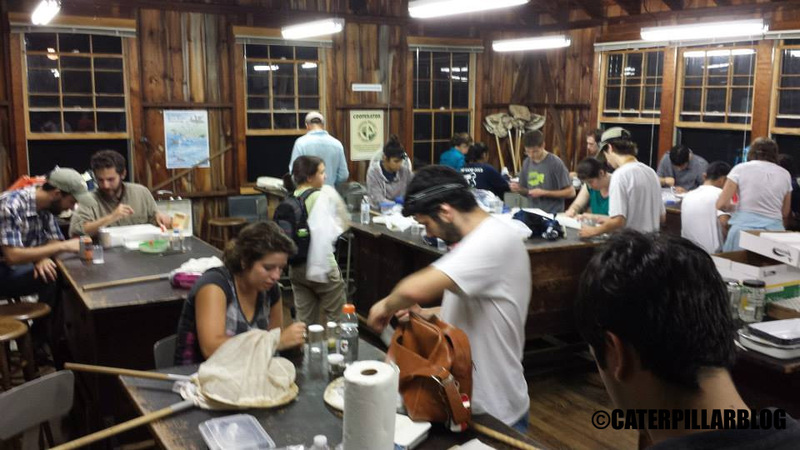 The boxes were absolutely filled with insect bits and old dermestid skins. Just about all of the specimens are ruined, and will be thrown away. So, what should you do? In your home, make sure all food containers are tightly sealed and secured (anything that comes in a bag, I transfer to a jar). Store winter sweaters and other important clothes in sealed containers or plastic bags. Ensure all household screens are tightly fitting with no gaps. 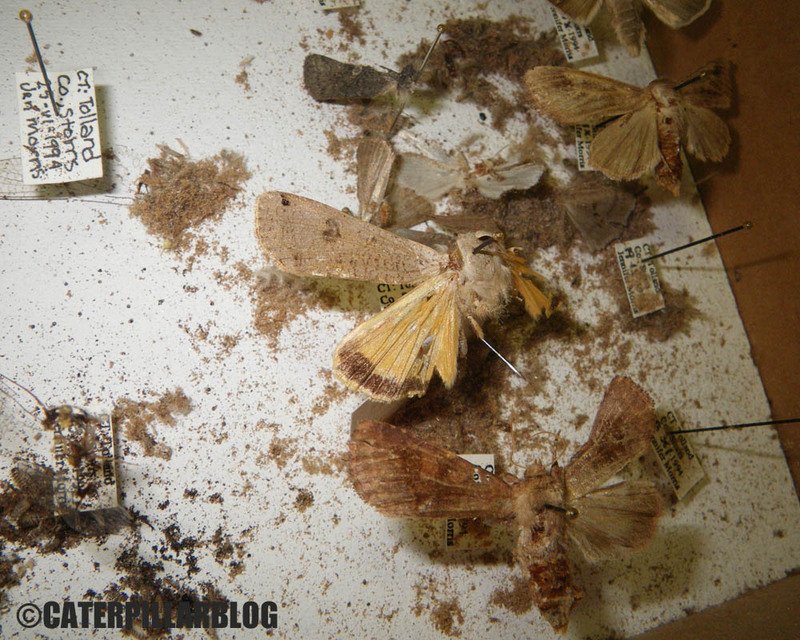 For an insect collection, you can choose to use chemicals like mothballs, but they wear off after a while (I have personally observed collections with chemicals tacked into one corner… still filled with dermestid damage. See the first image above.) Your best bet is to keep the collection sealed in a tight wooden box or glass topped drawer. Cardboard boxes, such as we give students, should be temporary. When in doubt, if a collection will not be regularly used, keep the box(es) in a sealed plastic bag of some sort. Also keep workroom/lab windows closed, or ensure screens are tightly fitting. 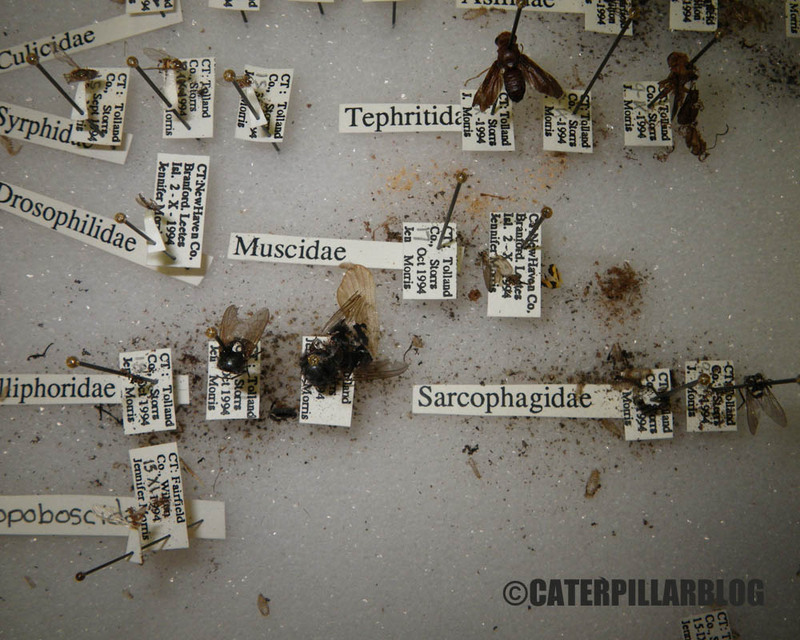 My advisor likes to say “dermestids smell insect specimens the way you smell Starbucks!” Which may or may not be true. Probably true. I successfully avoided doing any work this weekend to celebrate my climb into my late 20s. This week also held the birthdays of several friends in my department, so we celebrated for a few days. It was a good mixture of all my favorite things: cocktails with the whales event at the Mystic aquarium, a hard workout at the gym, afternoon of crafting with friends, and margaritas with my advisor and lab buddy who just returned from a trip to the southwest. They had some crazy stories, and brought me back a teensy tiny pet vinegaroon. The bottle of bourbon is for scale (also a present from a friend). And yesterday I got to unwind by sewing most of the day. So that brings my number of pets up to… something. Still don’t know exactly how many cockroaches I have. Oh and the vinegaroon needs a name. Any suggestions? 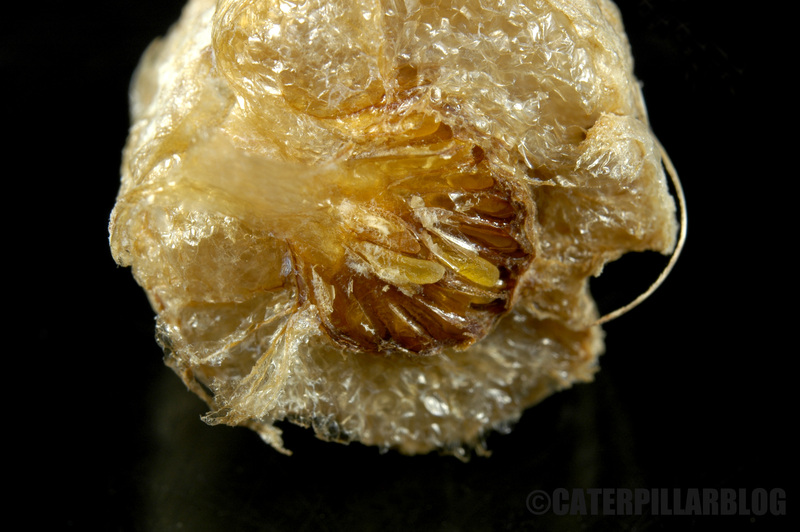 Earlier this summer I found a few praying mantis egg cases, of both Mantis religiosa and Tenodera sinensis. The Tenodera egg cases hatched and my friends and I raised some of the young for a while, however the Mantis egg cases never hatched. I’m not sure why – I never had much luck with these as a kid either! I found this egg case already ripped open. You can see the eggs on the inside, surrounded by the foam of the case. Too bad they never turned into baby mantises. If you have raised european mantids before, have they required any special treatment (temperature, humidity) in order to hatch successfully?